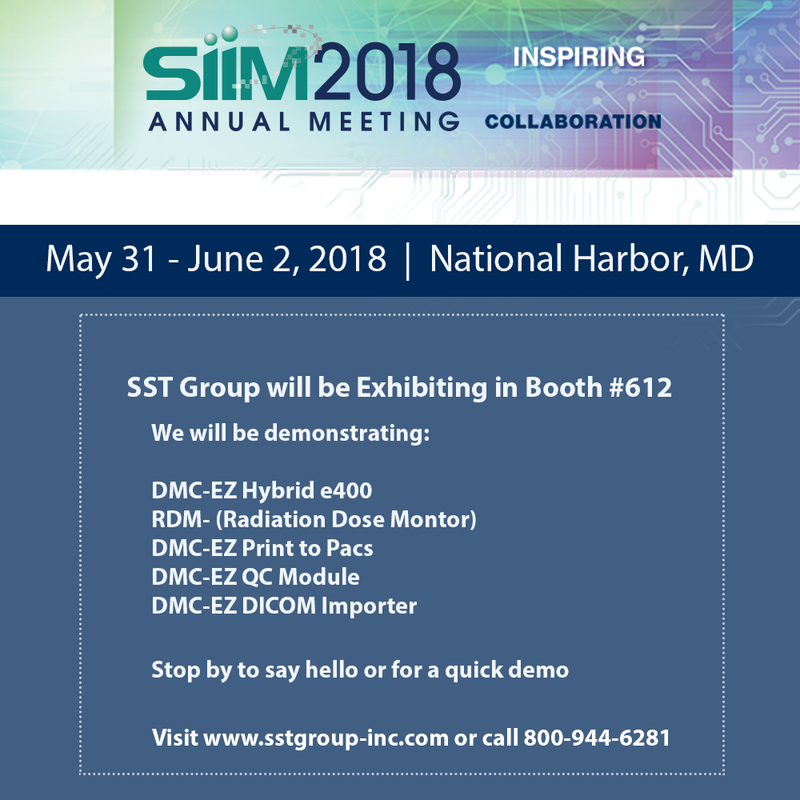 SST Group at SIIM 2018 - SST Group Inc.
DMC-EZ Hybrid e400, One solution that provides CD/DVD and Cloud Delivery. Utilizing the Epson PP100ii which is a high performance dual CD/DVD recorder inkjet desktop disc publishing system with vibrant six-color inkjet printer and precision AcuGrip™ technology , automated robotic print and CD/DVD recording. There has been much focus over the past few years on meeting dose monitoring requirements (NEMA, Joint Commission, Federal, State and Local). SST Group continues to feel that dose regulations don’t go far enough in the United States and should go well beyond these initial requirements. Dose monitoring should include and provide a complete history of all diagnostic, image guided surgery and interventional ionizing events for a healthcare institution’s population. The information in its totality allows an institution to see the entire picture on a patient’s dosage history based on anatomical region. Not just what is sent to PACS. In most instances, dosage relating to interventional as well as dosage for studies requiring a second or third event, due to patient movement for example, are not captured. Only the good images sent to PACS, with corresponding dose, are captured. This results in an incomplete data set. In Europe, it has been a much different practice than here in the US. Universities, Large and Small Facilities all have embraced the complete history concept with regards to ionizing dosage. Regulations such as the “Euratom Basic Safety Standards Directive (2013/59/Euratom)” incorporate the totality concept. New standards have been adopted and mandated facilities to be compliant by February 2018. It is very likely the United States will soon follow with similar regulations. Will your facility be ready? Interface for each role from the Operator through the physicist. SST Group can help your facility meet and exceed the current and future requirements with our RDM and DACS system. RDM is a software solution that allows medical professionals to collect, control, analyze and optimize doses delivered to patients during medical imaging examinations, image guided surgery and interventional procedures. 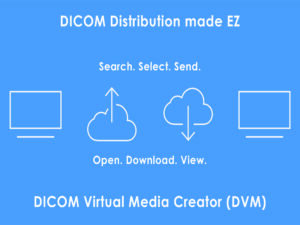 Information collected is stored in the Dose Archiving and Communication System (DACS). Compatible with various types of imaging modalities from all manufacturers, RDM is designed for all medical professionals responsible for the dose cycle (radiologists, technologists, director of radiology, medical physicists, etc.). Thanks to web-based architecture, multiple control screens can be used without multiplying the costs. RDM is an essential tool for reducing dose. 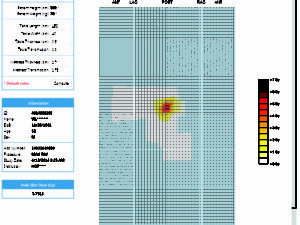 For patient health and safety, it is imperative for facilities to track all diagnostic, interventional and image-guided surgical ionizing events for its patient population. 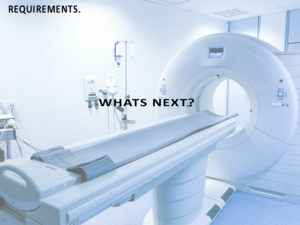 If your facility is struggling to get a full picture of your patient population across all of your facilities and ionizing sources, we would love the opportunity to discuss your needs and requirements. SST Group solutions have been deployed all over the world in some of the most prestigious medical facilities. Give us a call and make your facility our next satisfied customer. 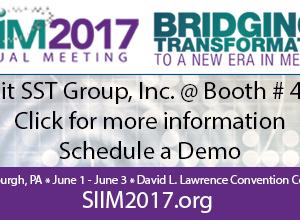 Please visit www.sstgroup-inc.com, call 001-408-350-3450 or better yet stop by our Booth #612 SIIM 2018.